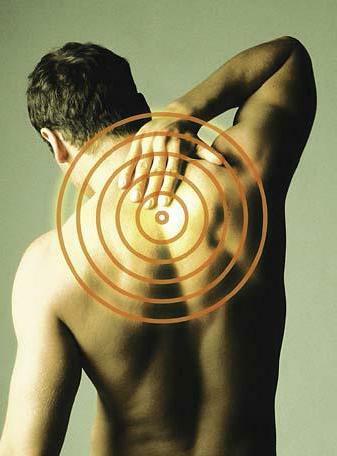 Muscle Pain is a frequently encountered complaint and condition in medicine. It is often confusing because it presents in conjunction with other problems, such as low back and neck pain. Many medical disorders can present with widespread pain and diffusely involving the muscles. For this reason, a physician skilled in assessing muscle pain is necessary to accurately diagnose what is causing the pain. For example: Next to the common cold, low back pain is the next most frequently encountered condition in medicine. When dealing with low back pain, muscle pain is extremely common. Understanding the mechanism and function of the muscles is instrumental in avoiding procedures that do not solve the root problem. Muscles contract to move bones and articulate joints. A muscle strain is a small, often, micro tear of the muscle fibers. A sprain is an injury to ligaments of the joints, not the muscle. Sprains generally will heal with rest and time. Although initially painful, sprains generally do not lead to chronic muscle pain. When a muscle is subjected to prolonged stress from overuse, improper posture, tension or abnormalities of the joints, local areas of muscle tightening can occur. As the muscles fail to relax adequately, knots develop which can lead to muscle pain. Myofascial pain syndrome is used to describe the condition when the muscles remain tight with focal areas of knots that result in muscle pain. These knots may occur in any muscle, but are most frequently seen in the lower back and neck region. These knots can be troublesome to get rid of once started. However, they are not be considered a serious disorder, do not require surgery, and can improve with proper treatment. Improper treatment, inadequate sleep, and stress can all negatively affect the condition. Often the patient finds muscle pain increases over time and feelings of frustration ensues cure is sought, without a good understanding of the cause. A separate condition known as fibromyalgia is distinguished by tender points at discrete locations, and is often associated with fatigue and impaired sleep. Although fibromyalgia has generalized muscle pain as one of its symptoms, it is considered a “syndrome”, not a medical disease state, because the underlying cause is unknown and it is characterized by a collection of symptoms. Treatment of muscle pain is geared toward recognizing the underlying cause of the muscle pain, and implementing a specialized treatment program tailored for the individual patient. A skilled physician knowledgeable in recognizing and treating muscle pain is essential. If you suffer with muscle pain and your current treatment plan leaves you feeling frustrated, perhaps a fresh set of experienced eyes can change your outlook. Since 1990, Dennis M. Lox, M.D has applied his personal interests in sports medicine, cutting-edge regenerative medicine and chronic pain management to helping patients increase their quality of life. Contact us for an appointment at 727-462-5582.